When performance feedback is collected from all the people included in an employee’s work circle, it is said to have a well-rounded multi-rater performance review. In 360-degree feedback process, an employer seeks feedback from multiple sources to get reviews on an individual’s behavior and performance. Employee performance feedback is a well thought process to evaluate employees. It gives a clear view of how others perceive performance of an individual. 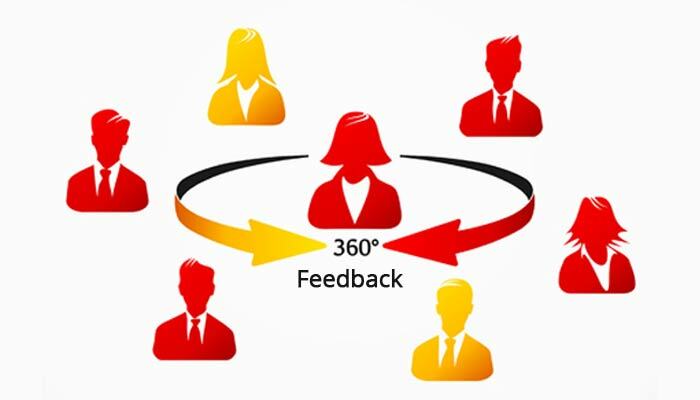 Recently, 360 feedback has gained popularity as multiple stakeholders provide valuable feedback that help in measuring multiple qualities in an individual, including leadership, communication, teamwork, collaboration, skills and expertise. To maintain accuracy in performance appraisal, most of the small and large organizations adopt 360 review which gives fair base to their evaluation process. Managers – Managers are always interested in looking forward to 360 feedback which is fair, actionable and has been collected from multiple sources to facilitate correct decision making. HR – HR people need to focus on employee development opportunities keeping employee strengths and weaknesses in mind. A 360 review allows HR leaders to receive constructive feedback from peers, seniors and/ or colleagues and maintain confidentiality in the feedback process. Employees – During employee appraisals, employees are evaluated on different parameters, including competencies, skills, leadership qualities, etc. Therefore, employees want to ensure that they receive feedback from multiple people working on different hierarchies in their organization. Involvement of multiple stakeholders in the 360 feedback process makes the performance appraisals more accurate. While getting transparency and accuracy in appraisals, 360-degree feedback often gives a lot of pain to the managers and HR who are responsible to send out feedback forms, follow people, collect inputs, and make efforts to get meaningful results. 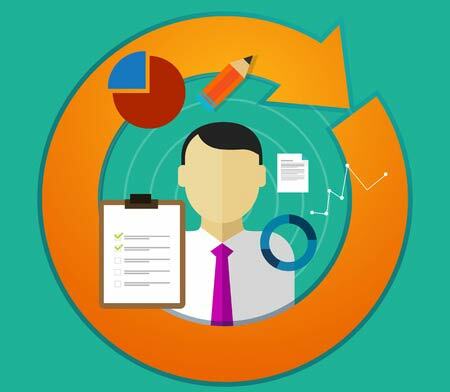 Quite often, managers and HR wonder whether 360 review is really an effective way to manage performance or it’s another management’s much hyped fad. There is no qualm in the fact that multi-rater feedback becomes a complicated subject for those who conduct it manually. Working with millennials adds more to the stress as they always look forward to regular feedbacks. Changing time and competitive businesses have made it more demanding to provide consistent feedbacks to employees. Believe me, HR technology has made it quite easier and faster for small, middle and large organizations to deliver 360-degree feedback like never before. With each passing day, more and more organizations are choosing automated 360 review software to provide feedback and development opportunities to employees at different levels, starting from entry level to C-level. Having an online 360 review system in place enables employees, managers, HR and leadership to get a clear view of employee performance and sideline all the challenges. Just like, managers and HR deliver honest and constructive feedback to employees so that they can know their areas of improvement and performance gaps; similarly, employees also need to get 360 feedback for their performance to understand the difference in ‘how their performance is viewed by others’ and ‘how employees view their own performance’. This can be enlightening to focus employee’s blind spots. On the other hand, work groups can also have high level of satisfaction when they are given opportunities to express their views anonymously about colleagues or peers. This encourages motivation in the workforce – that’s what an employer seeks! Try and implement a 360-degree feedback tool in your organization to build a high performing workforce.